One of my favourite things to do, mentally build my own Pinterest worthy house haha. I love picking bits and pieces for my shelves and desk area especially as I like to be surrounded by pretty things when I work (and browse Asos). As I grow older I get more excited over finding the perfect throw to match my bed linen than I do in Topshop. Who would have thought it. So a small selection of what I’ve got my eye on, especially as I’ve just been paid wahoo! I’m going to treat myself to a few pieces to give my room a little refresh. I know it’s a blogger cliché but I genuinely still really love copper. The trio of pots would look fab will little cacti in them on a windowsill don’t you think? Oh and I STILL don’t own a Tom Dixon candle yet. I need to see to this. 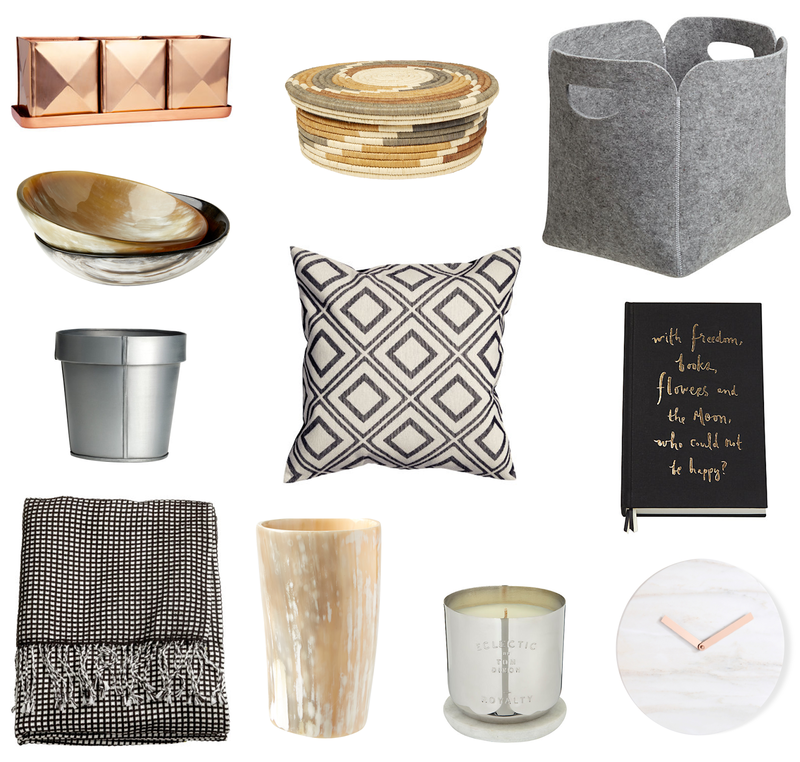 I also wanted to bring your attention to a new charity range by my favourite home store HomeSense. Both TK Maxx and HomeSense will be selling a wide range of unique hand crafted homeware and locally farmed coffee sourced from remote communities in Western Uganda. The range is part of an initiative to help some of the most disadvantaged families increase their incomes so they can afford to send their children to school. If that’s not a worthy reason to treat yourself to some of these lovely pieces then I don’t know what is! I especially love that they have a few tortilla holders within the range, perfect for a guacamole and dorito lover like myself.